An exceptionally spacious and well positioned four bedroom detached family home, located in an ever popular position, just a short walk from Disley Village Centre and all its local amenities, whilst being positioned in an extremely quiet part of this residential estate and enjoying the most spectacular elevated views over the adjoining open countryside. The well planned internal accommodation is flooded with natural light, and has been well maintained over the years offering spacious and flexible accommodation. In Brief, accommodation comprises a welcoming reception hallway, with access to the integral double garage, there is then a good sized dining room with opening through to the fully fitted kitchen, the first mezzanine level reveals the cloakroom/WC, and the 28ft lounge, with French doors the rear providing views and access to the rear garden and beyond. The second mezzanine level gives access to the study, and two bedrooms. Ascending to the third mezzanine level will lead you to the family bathroom, master bedroom with en-suite facilities and third bedroom. The property sits on a generous and extremely private plot, overlooking a green to the front and having a block paved driveway and double garage for parking, along with a sweeping front garden with a range of well stocked beds containing a wealth of plants and foliage. The rear garden is of generous proportions, with a patio area and a range of mature and well stocked borders and trees for interest. 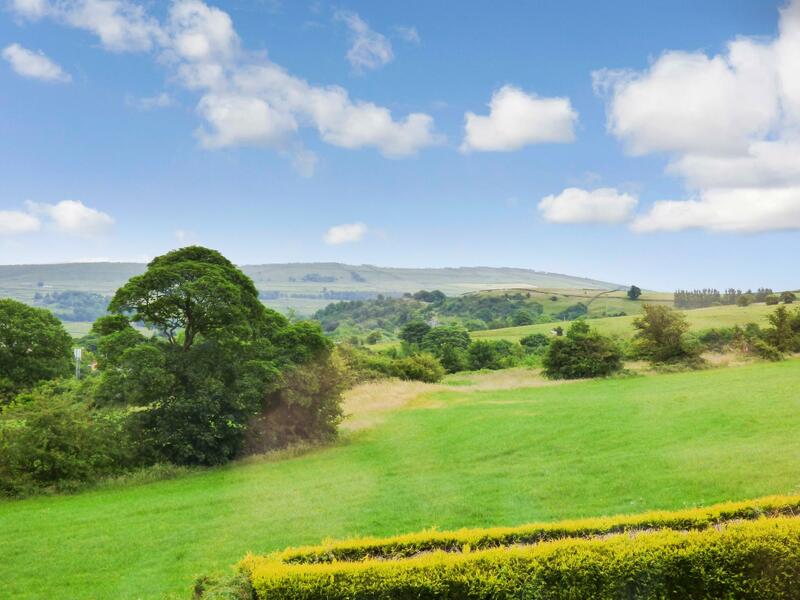 As previously mentioned, the garden borders open countryside (green belt) and boasts impressive views over the High Peak. Advantages include double glazing and gas central heating. Early viewing is essential to appreciate the extremely well propertied living space and magnificent countryside views on offer with this rare opportunity. With uPVC double glazed entrance door having windows to either side, attractive wood effect laminate flooring, radiator, stairs ascending to first floor with useful storage cupboards below. The kitchen has been fitted with a range of shaker style wall and base level units, complimented further by granite effect working surfaces that incorporate the sink and drainer unit with mixer tap and tiled splash backs. Integrated appliances include a Cooke & Lewis oven, with four ring hob and built in extractor hood above. There is then space/plumbing for a dish washer and under counter fridge. Ceiling light point, power points, uPVC double glazed window providing views over the rear garden and beyond, door to side, continuation of the wood effect laminate flooring. With uPVC double glazed window to the rear, pedestal wash hand basin, WC with continental style flusher, ceiling light point, part tiled walls, radiator. A generously proportioned and bright room, having uPVC double glazed French doors providing views and access to the rear garden, along with a large uPVC double glazed window overlooking the green to the front. Feature Marble fire place surround, with display mantel and space for an electric fire. Two radiators, two ceiling light points, TV point, telephone point, power points, coving to the ceiling. With airing cupboard housing the hot water tank and providing shelving for linen storage. With uPVC double glazed window to the front elevation, ceiling light point, power points and radiator. 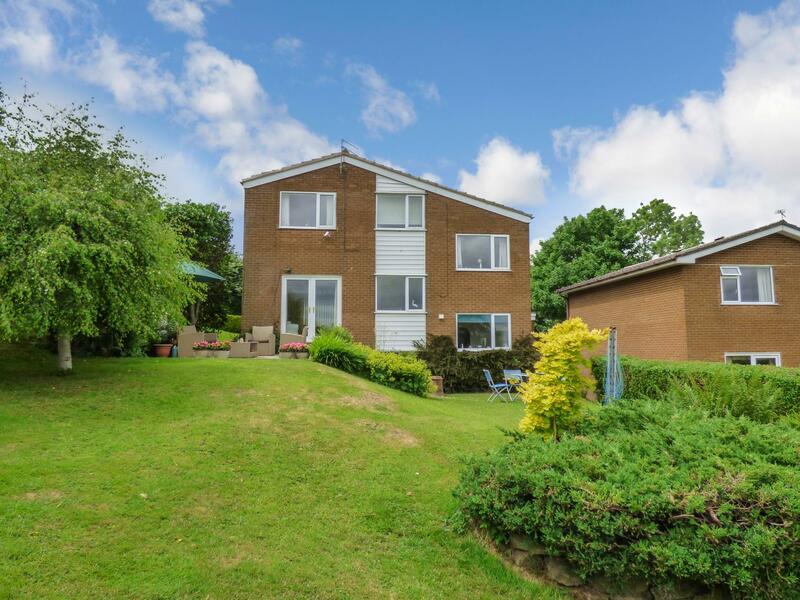 With uPVC double glazed window to the rear aspect providing beautiful views over the garden and open fields beyond, radiator, power points, TV points, coving to the ceiling, ceiling light point. With uPVC double glazed window to the front aspect, radiator, built in double wardrobe with hanging space and shelving, ceiling light point, power points. With ceiling light point, loft access hatch. We have been advised that the loft has been well insulated. With uPVC double glazed window to the front aspect, radiator, ceiling light point, power points and coving to the ceiling. En-Suite facilities include a vanity wash hand basin with storage cupboards below and an enclosed shower cubicle with glass shower screen and shower attachments. With uPVC double glazed window to the rear, again giving pleasant views over the garden and countryside, radiator, TV point, ceiling light point, power points, coving to the ceiling, fitted display shelving unit. The bathroom has been fitted with a three piece suite comprising a bath with shower over, pedestal wash hand basin with hot and cold taps and WC. Tiled walls, radiator, ceiling light point, shaver socket and uPVC double glazed window to the rear. With up and over garage door, ceiling light point, shelving, wall mounted Glow Worm boiler. Useful Utility area, with stainless steel sink with mixer tap, space for fridge/freezer and further shelving. 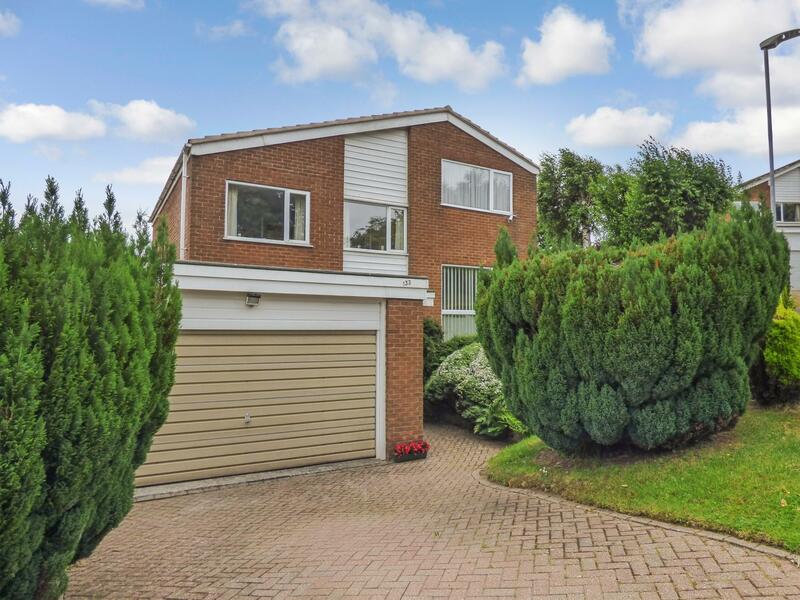 The property is approached over a wide paved drive, which passes the shaped lawned front garden with well stocked flower beds and hedge borders, the drive extends to the front of the property and leads to the double garage. There is a path way to the side of the property leading to the rear garden and the back door. The landscaped rear garden is of a generous size, again having hedge borders and enjoying an extremely private setting, again having well stocked and mature flower beds and borders, with trees, flowering plants and shrubs. 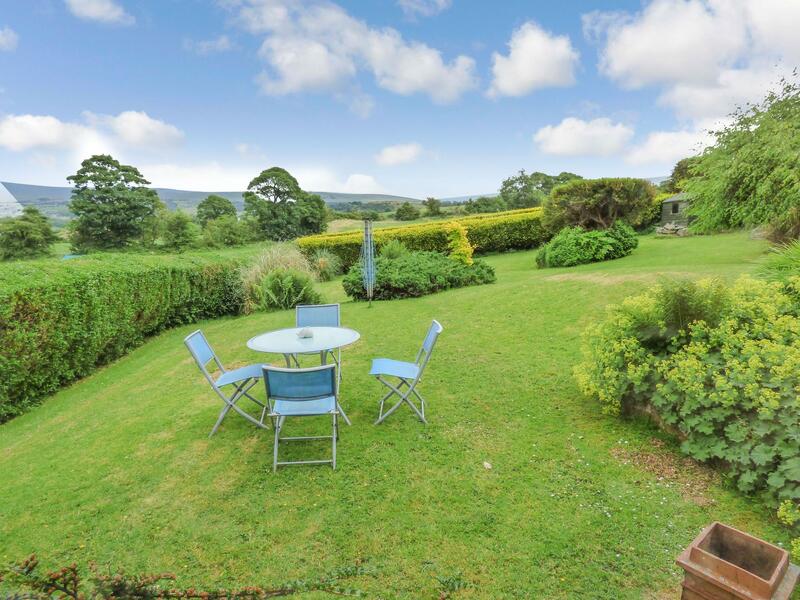 There is a good sized patio offering an ideal space to enjoy al-fresco dining or to enjoy the uninterrupted views of the adjoining open countryside. We have been advised that the property is Leasehold, originally having a 999 year lease from built (approx 1976) with a ground rent of £20 per year. From Disley village, travel along Buxton Old Road taking your third turning on the left on to Chantry Road. Continue along Chantry Road where the property will be found on your left hand side marked by our 'For Sale' board.